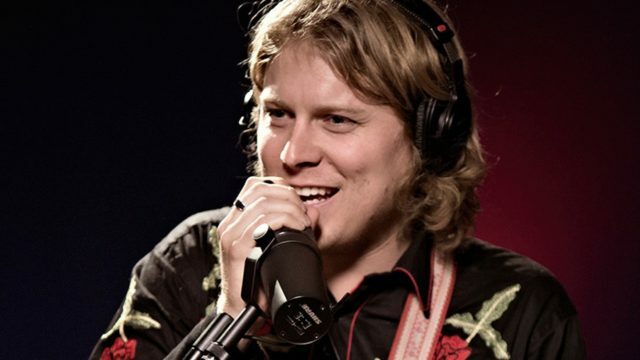 Ty Segall is one of American’s finest musicians whose musicianship has been compared to some greats including John Lennon, Jay Reatard, T. Rex and Grateful Dead. He is a multi-instrumentalist, singer-songwriter and record producer. His career, marked by its prolific nature, has spawned incredible groundbreaking successes and releases. He has steadily released albums since 2007, both on a solo front and as part of collaborative efforts. Segall has released over ten studio albums, alongside various EPs, singles, and collaborative albums. Besides, his simple but strong melodic frameworks, his creative restlessness, and the infectious intensity of his instrumental work further set him apart from the rest. Born on the 8th of June, 1987 in Laguna Beach, California, and named Ty Garrett Segall, the prolific musician is of American nationality and belongs to the Caucasian ethnicity. Nothing is known about his birth parents but he was raised by a lawyer and his artist wife who adopted him in infancy. Segall was a very active child growing up. While he did not indicate an interest in music until later in high school, he would have fared well as a surfer had he continued in the sports. He began surfing at the age of ten but changed his focus to music as a means of escape in his teenage years. Ty Segall describes his teenage self as emotionally unstable and calls himself a very existential eighteen-year-old drinker for whom music served a cathartic effect for his instability. Ty Segall attended Laguna Beach High School and is an alumnus of the University of San Francisco where he earned a degree in Media Studies. Following his graduation, he worked eight months constructing grow boxes for cannabis plants but focused entirely on his musical career afterwards. Segall’s musical catalogue is as prolific as it is diverse. He set out on his musical odyssey as a part-time musician in various underground bands and has recorded much success both as a member of a band and in his solo career. He went solo in 2008 after garnering public acclaim as the lead singer of an Orange County, California garage rock revivalist band – Epsilons. The musician has since released close to a dozen studio albums, two live albums, three compilation albums, three EPs, nineteen singles, and sixteen music videos. He has also worked in a number of side projects. His first solo release was the cassette Horn The Unicorn which was released on the Wizard Mountain label and later by HBSP-2X on Vinyl record. From 2008 to 2011, he released four studio albums including a self-titled lo-fi effort, Ty Segall (2008); others are Lemons (2009), Melted in 2010 and Goodbye Bread arrived in 2011. 2012 was a rather busy year for the musician with the release of three full-length albums. He recorded Slaughterhouse with his live touring band billed as the Ty Segall Band, and released it on June 26. In April, he recorded another collaborative album, Hair with Tim Presley of White Fence and on October 9, he released a solo album, Twins. It was a compilation of his various influences and styles up to that point in his career. In 2013, Segall formed a new hard rock band named Fuzz with Charles Moothart and Roland Cosio. The same year, he released a primarily acoustic solo album titled Sleeper, in August and Fuzz’s debut eponymous album arrived on October 2013. His first double LP, Manipulator followed in 2014; he integrated some psych music in the album. While he did not record any solo album in 2015, Segall produced the debut album by Peacers as well as released an EP, Mr. Face on Famous Class and a second Fuzz album, II in October. The next month, he announced a new studio album, Emotional Mugger, described as his first experimental rock album, and it eventually arrived in 2016. Upon its release, Segall formed a backing band, a high concept group named The Muggers. His ninth album, a second-self titled outfit, Ty Segall came in 2017. Therein, he displays his ability to play the full repertoire of rock. As with Emotional Muggers, Segall formed another backup band, The Freedom Band, following the album’s release. Besides these, he is also a member of The CIA, Broken Bat, and GØGGS. His latest album, Freedom’s Goblin arrived on January 26, 2018. Segall married Denée Petracek Segall in 2016. She is also a musician and they are both members of a band called the C.I.A. along with Cairo Gang’s Emmett Kelly. The band released its debut self-titled album in December 2018. • Ty Segall has his own record label imprint on Drag City called GOD? Records. • Segall composed the theme music for two Comedy Central TV programs, The Opposition with Jordan Klepper in 2017 and Corporate in 2018. • He is a former member of The Traditional Fools, Epsilons, Party Fowl, Sic Alps, and The Perverts. • He also records all-cover albums and has released a handful including Ty Rex (2011) and Fudge Sandwich (2018). • Segall is basically known with the musical genre called garage rock. His music has also been defined as garage rock revival, lo-fi, punk rock, indie rock and psychedelic rock. • Ty Segall usually forms a new band after the release of his solo albums which sings with him during live performances. While he is currently backed by The Freedom Band, his previous backing bands include the Ty Segall Band, The Muggers, and The Sleeper Band. • His regular collaborators include Mikal Cronin (bass), Charles Moothart (drums), and Emmett Kelly (guitar). Cronin is his high school friend and they were members of the grunge band, Epsilons. • Besides vocals, he plays the guitar, drums, bass guitar, as well as keyboards. Part of his charm is his instrumental work on guitar and keys in his ever-evolving body of work. • Ty mentioned great musicians including David Bowie, Marc Bolan, Tony Visconti, and such bands as Black Sabbath, Kiss, The Stooges, Black Flag, Neil Young, The Byrds, and The Beatles as his inspiration.